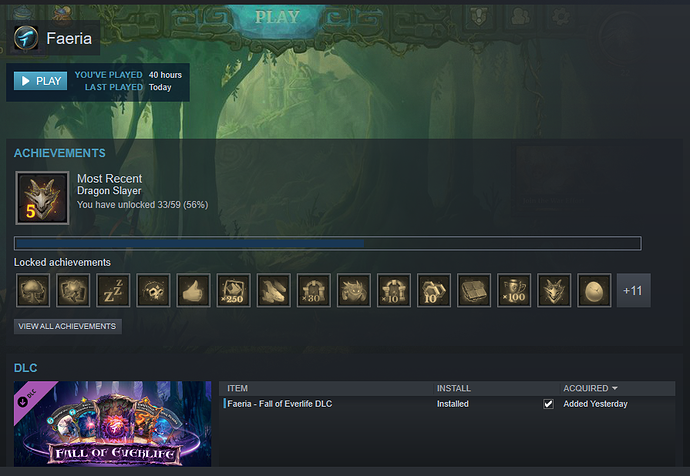 My friend bought me the Fall of Everlife DLC as a gift on Steam, and though it’s listed in the Steam interface as being installed- little checkmark and all that- I can’t seem to find how to actually get the cards and content ingame. Steam account is Bandannajones, faeria account is Freyalise. When buying an expansion that contains cards, it unlocks those cards so that you can get them from battle chests and craft them. You also get 10 battle chests to help you get those cards. I suggest opening your chests. 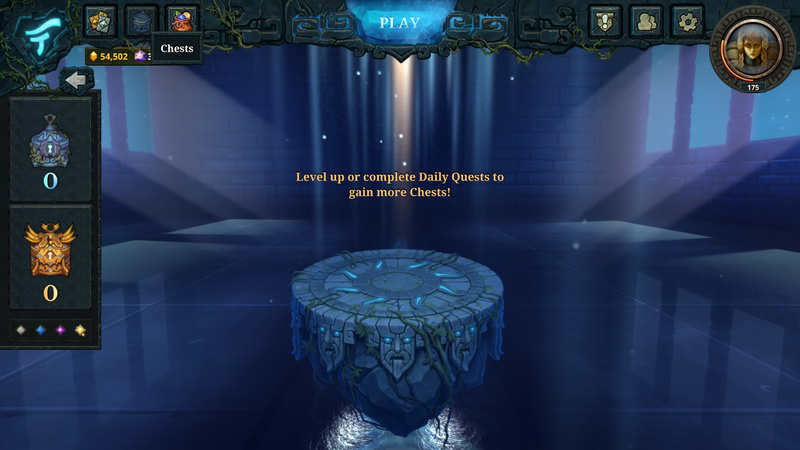 Crafting charges take 6 hours each to refresh, but you don’t need to wait for the whole queue to fill up. Legendaries cannot be crafted - only found in chests. Commons are craftable straight away. Rares and epics need you to be a certain experience level (10 and 20 I think) for you to be able to craft them. For brevity’s sake, I’m including some screenshots that should help clarify my situation. 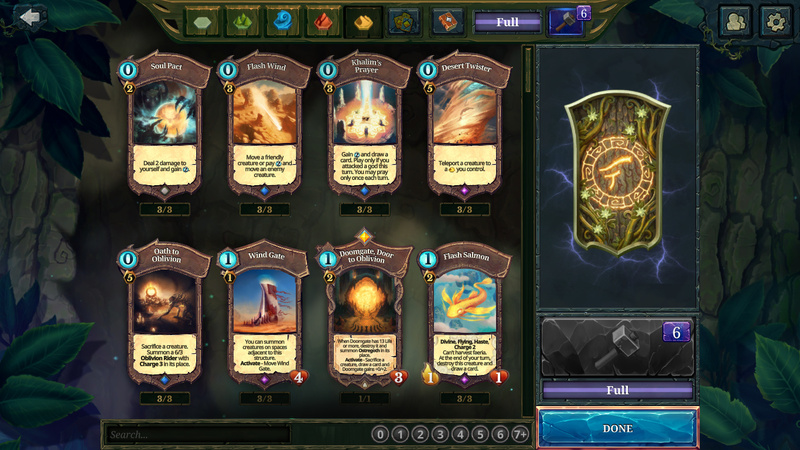 I have a complete collection of the base set and Oversky cards and have not been receiving chests since the big move to buy-to-play as a result, with the exception of the occasional premium goodie chest. As you can see, Steam shows the DLC as being installed, but my chests are at zero and there does not appear to be anything for me to craft. The best place to report bugs is (probably) the official Faeria Discord channel, as It enables you to contact the devs directly. That’s another thing, the support email listed on Steam returns a “mail could not be delivered” message as if it doesn’t exist at all. That seems like a rather major oversight. Do they really check Discord more than their own forums? I think they changed the support e-mail address some time ago, but they didn’t manage to properly inform about that / change the address in every place.